A great day spent with our guide Daniela. It was like we were traveling with a friend. Highly recommended tour. Daniela was a wonderful guide and we really enjoyed our day with her. It was just my husband and I on the tour so we were able to set the pace for the day. 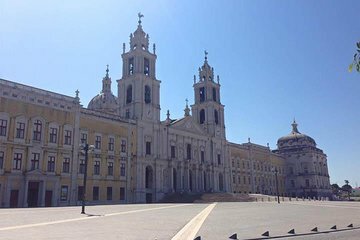 Each of the places were unique and provided an opportunity to see different aspects of Portugal's history and architecture. Daniela was very knowledgeable about each location and we gained extra insight as her degree is in architecture. She picked us up at our hotel around 9 AM and we returned a little after 6:00 PM. It was a very relaxed day where we did not have to think about any of the details- they were taken care of for us. I would highly recommend this tour and Daniela! Everything about the tour was handled very professionally! On time, relaxed and friendly. Highly recommended!